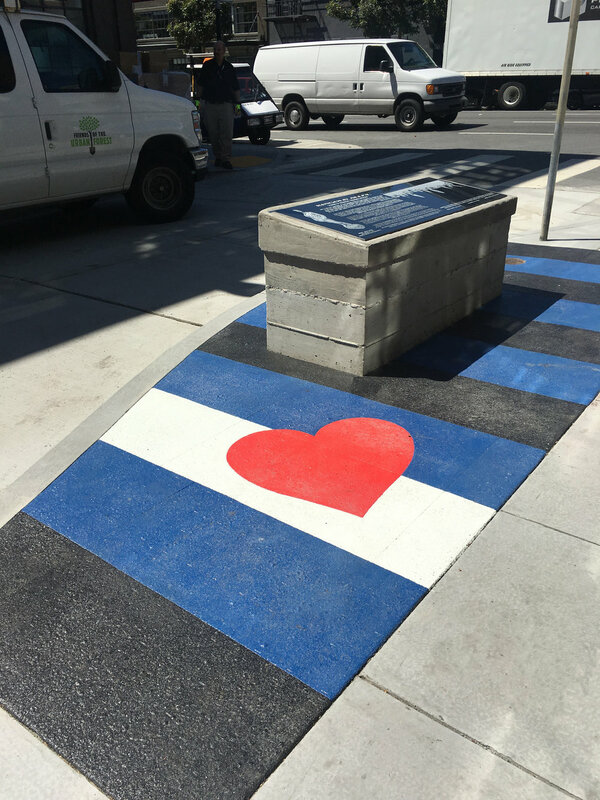 Ringold Street, a small alley located in the SoMa district between 8th /& 9th Streets and Harrison & Folsom Streets, has been transformed into a vibrant corridor while paying homage to its colorful past. Prior to the AIDS crisis, the out-of-the-way alley served as the go-to place for gay men to rendezvous after the numerous gay bars along Folsom Street – then known as the "Miracle Mile" – closed for the night. Several major American cities had similar areas dubbed as the "merry-go-round," a sort of outdoor sexual market where gay men would gather. Up until the 1990s Ringold Street continued to play a major role in San Francisco's leather and gay SOMA scenes. These days, the alley is quiet, surrounded by a mix of row houses and light industrial businesses. 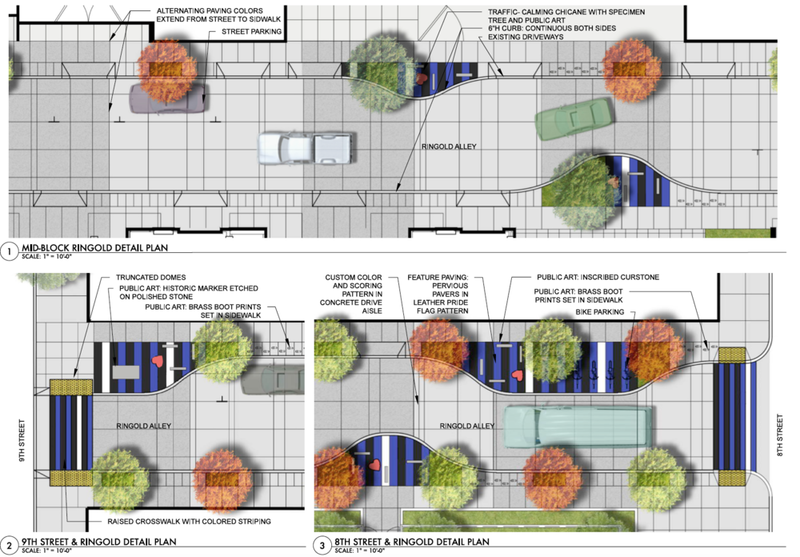 Improvements to Ringold Street were designed as a community benefit associated with the development of a large scale residential community located at 8th and Harrison Streets [which was formerly used by Golden Gate Transit as a bus yard]. 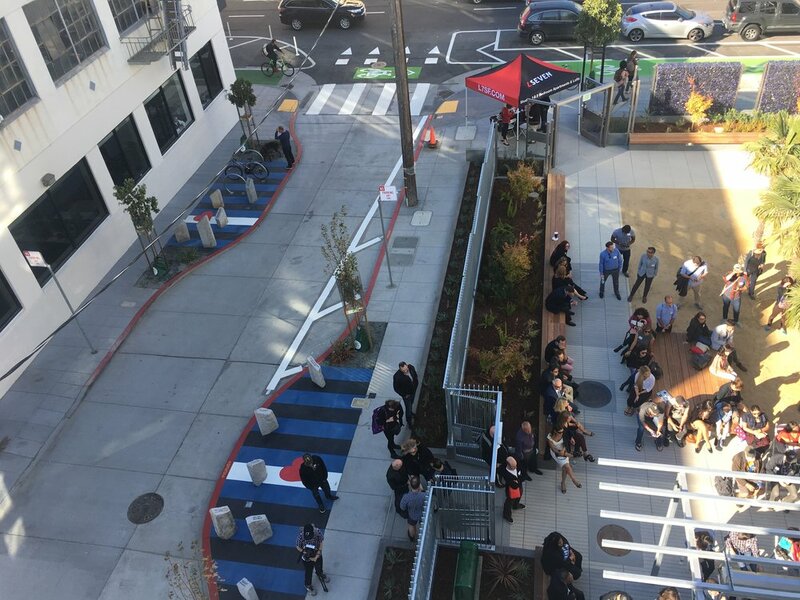 The development is part of a larger planning process that is conforming to the Western SOMA Community Development Plan, which calls for the creation of the LGBT historical district as well as various zoning changes in the area. After consulting a committee of community leaders including anthropologist and leather historian Gayle Rubin, executive director of Folsom Street Events Demetri Moshoyannis, and the late Jim Meko, former chair of the Western SoMa Citizens Planning Task Force, Jeffrey Miller envisioned "The Leather Memoir." 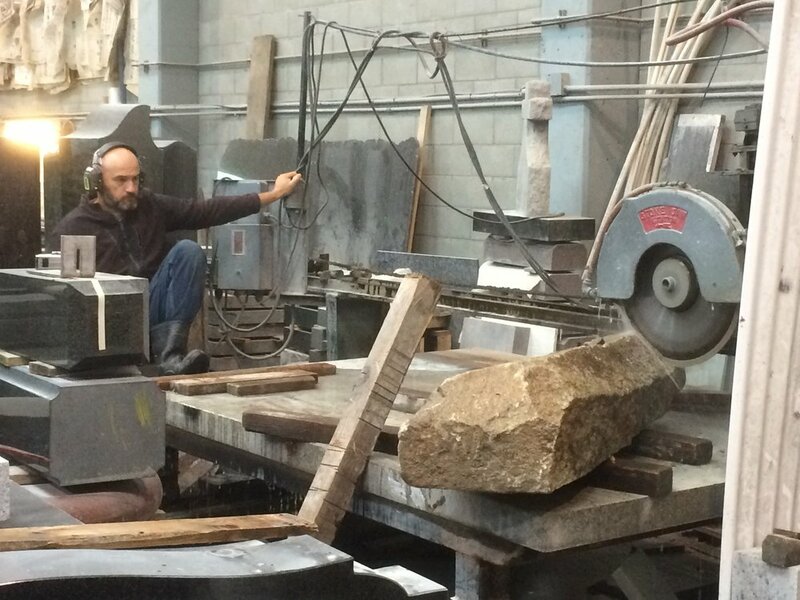 This permanent art installation consists of four custom fabricated features installed on Ringold Street [from 8th Street to 9th Street] that reveal Ringold's rich history. A black granite marker stone mounted at 9th and Ringold features an etched narrative, a reproduction of Chuck Arnett’s long-gone mural [famously captured in a 1964 Life magazine spread about gay life in America], and an image of Mike Caffee's Leather David statue. 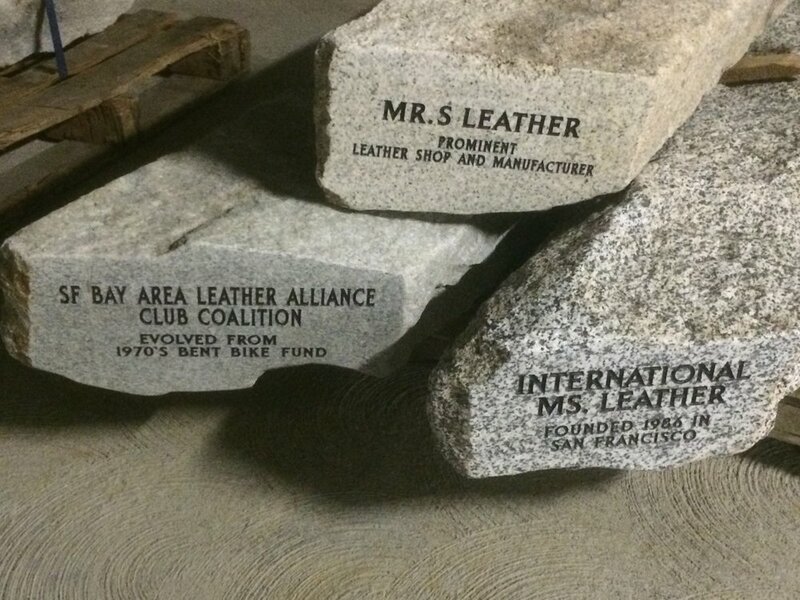 Granite standing stones recycled from San Francisco curbs are cut, polished and engraved to honor community institutions. 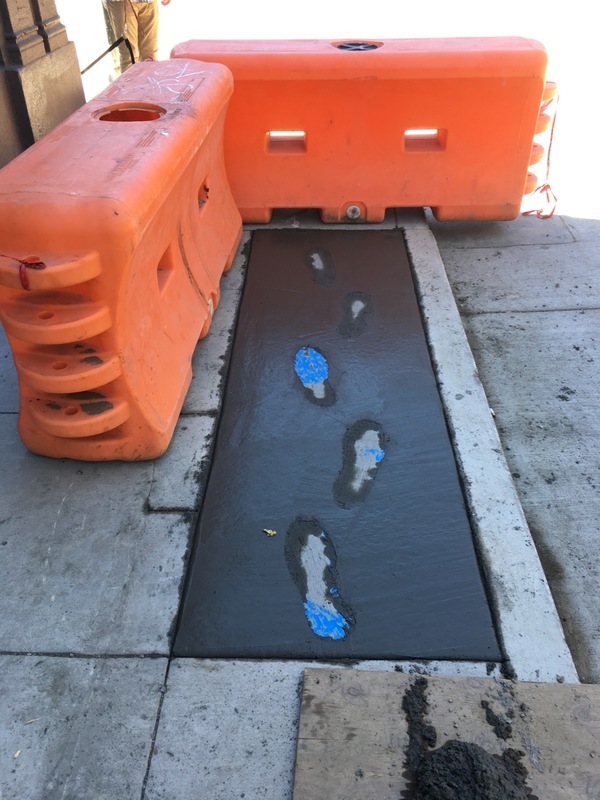 The stones emerge through the pavement’s leather flag markings in new bulb-out areas in several locations along the new street alignment. In a rugged twist on the commemorative plaque, bronze boot prints embedded along the streets curb lines conjure the footsteps and names of the men who once frequented Ringold Street in its heyday.